Is your Kodi giving you error messages, buffering, crashing, and engaging in other kinds of bad behavior? Or are you simply looking to quickly install Kodi addons at the push of a button? If so, the Indigo Kodi addon may be able to help. 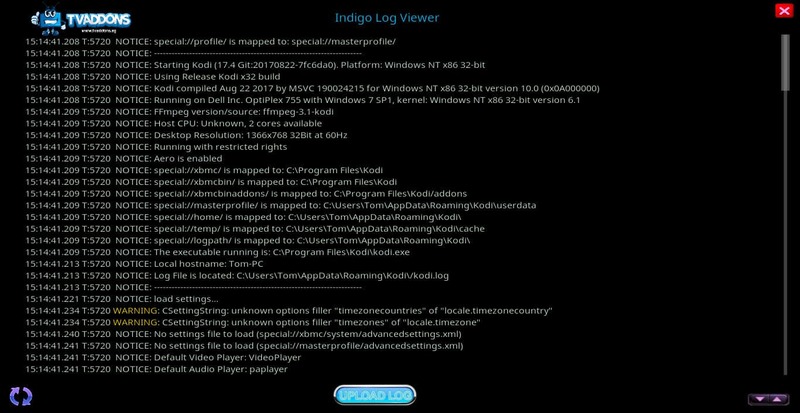 Indigo is a full suite of diagnostic and repair tools to keep your copy of Kodi in a healthy state. 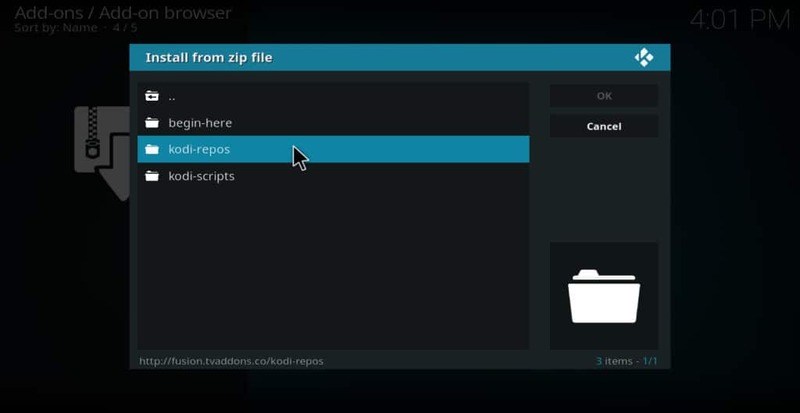 It can also be used to browse for and install Kodi addons, even directly from Github. 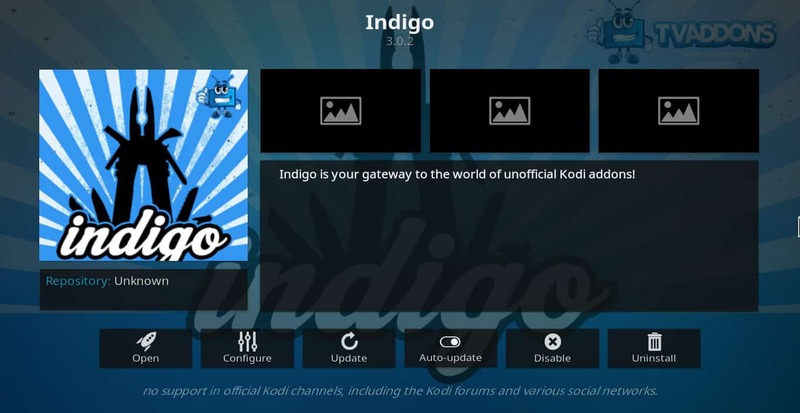 We explain how to install and use the Indigo Kodi addon. 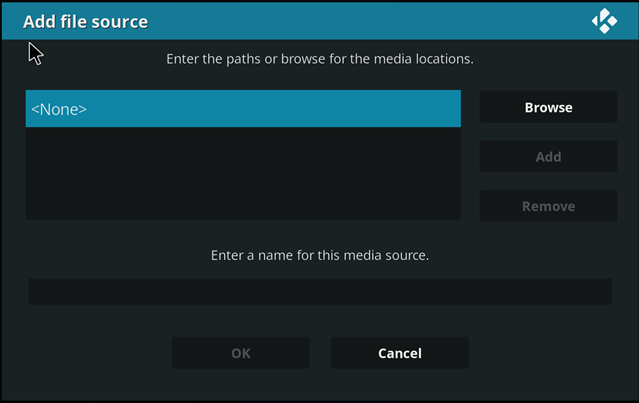 Kodi is a free media player developed and maintained by the Kodi foundation. It can be installed on most video-streaming devices, including Apple TV, Nvidia Shield, iOS smartphones, and others. 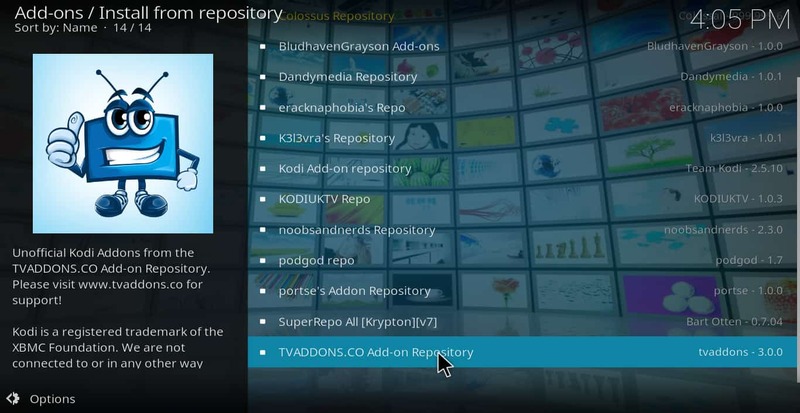 Kodi can be modified by installing “addons” that are created by independent developers. These addons allow users to stream content available on the Internet or troubleshoot Kodi itself. Indigo is an example of one of these addons. Kodi itself is completely legal to use. However, some addons do allow users to stream pirated content. We suggest that you consider the copyright laws in your country and the ethical implications of viewing pirated content before using it for this purpose. SEE ALSO: Plex Vs. Kodi: Which is the best for you? Virtual private networks (VPNs) are often used by people who stream unlicensed content. However, there are good reasons why every Kodi user should use a VPN, even if he/she only streams from official sources. VPNs can help protect Kodi users against speed throttling, a common practice ISPs use that sometimes causes buffering and grainy videos. VPNs also help to prevent man-in-the-middle attacks by hackers and geographic content blocking by streaming-video providers. All VPNs will slow down your connection speed somewhat, but some are worse than others. If you are shopping for a VPN to prevent ISP speed throttling, it’s important to get one that is fast enough to help with that problem. It’s also important to make sure that your VPN doesn’t keep logs of your activity, as this can be a serious privacy and security concern. We recommend IPVanish for all Kodi users. It’s super fast due to the many servers it has all over the world. It doesn’t keep any logs, and it’s easy to install on all of the most popular devices, including Roku and Apple TV. READER DEAL: Save 60% on an IPVanish annual plan here. 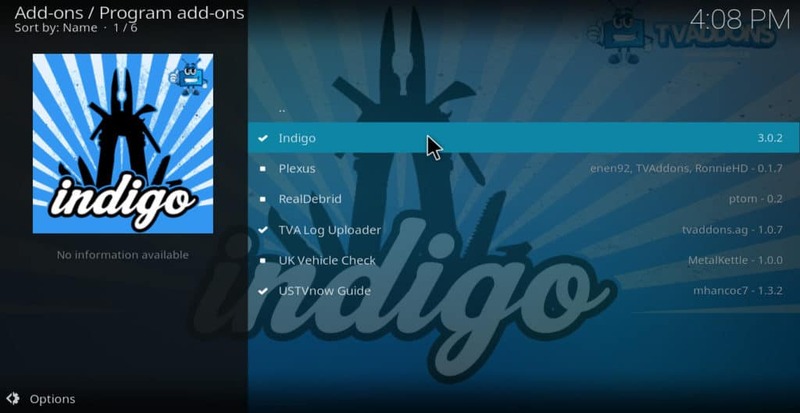 The Indigo Kodi addon can be installed from the TVAddons repository. Here’s how to do it. From the main menu, click on the icon that looks like a gear. It is located in the upper-left corner of the screen. Click Indigo. The Indigo addon should install within a few seconds. You can do a lot of useful things with the Indigo Kodi addon. Here is a list of each of its features, along with what you can use them for. This feature automatically installs some of the most popular Kodi addons, including YouTube, BBC iPlayer, Vice, and others. 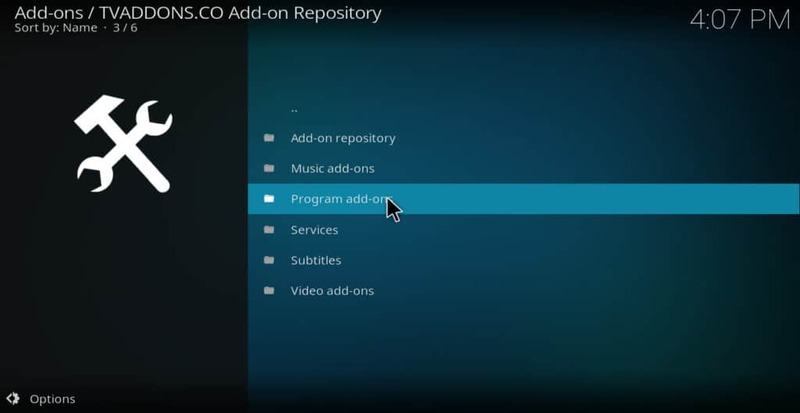 This is especially useful if you are new to Kodi and do not yet have any addons. Important note: In the past, this feature installed a number of copyright-infringing addons such as Exodus, SALTS, Phoenix, etc. These addons posed a significant security risk to users. However, they have now been completely removed from the TVAddons repo. The Config Wizard currently installs only addons that stream from official sources. 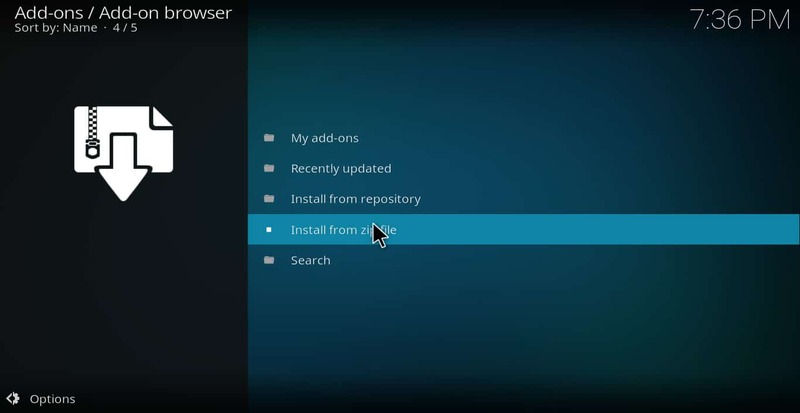 The Addon Installer gives a user access to hundreds of the most popular Kodi addons through an “app-store” style menu. This helps prevent you from having to add a new source and repo every time you want to install a new addon. As a result, it greatly speeds up the process. There are still some addons that are not available through the installer, so you may sometimes need to install one or two manually. But in the vast majority of cases, the addon installer is a big help. 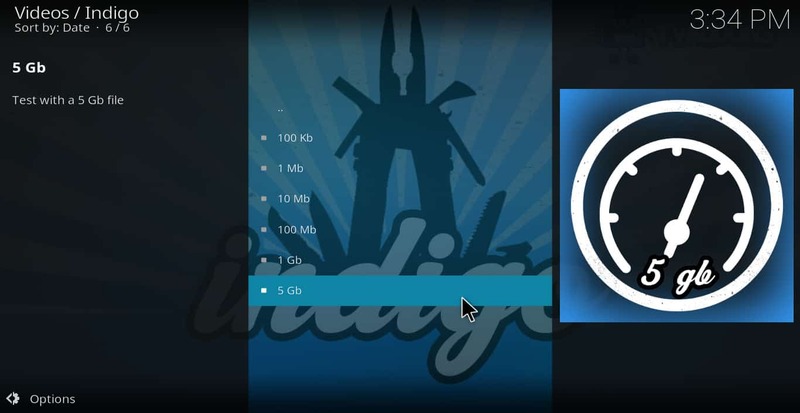 Probably the most popular feature of Indigo, Maintenance Tools is a set of diagnostic and repair tools for your Kodi. 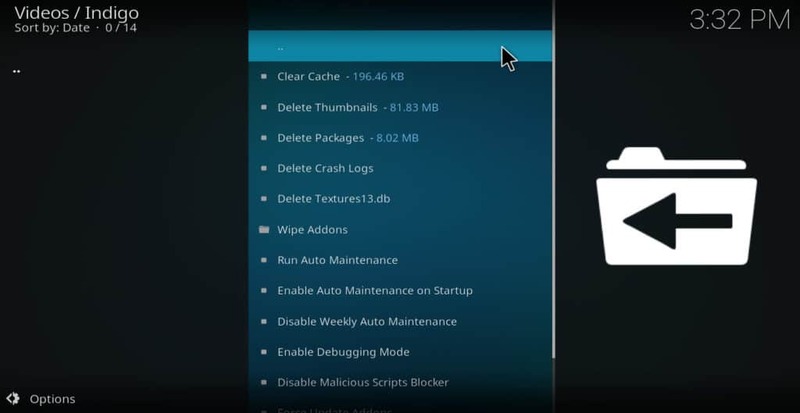 From within its menu, you can delete thumbnails, packages, crashlogs, and the textures13.db file, as well as clear your Kodi’s cache, wipe addons, force update addons, install custom keymaps, and other actions meant to make your Kodi run more smoothly. 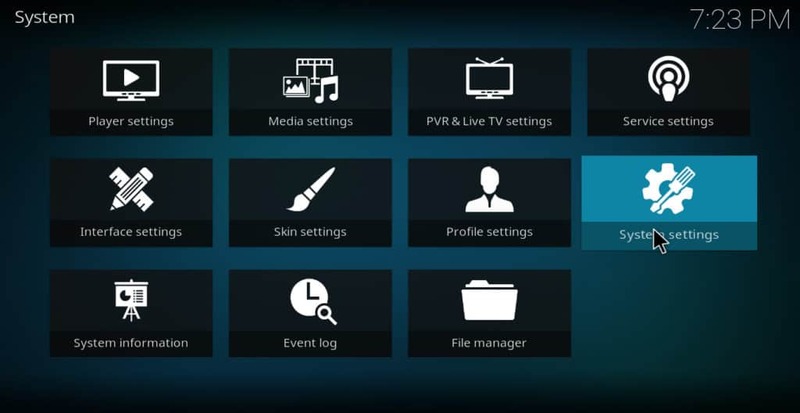 If your Kodi is acting up and you search for answers as to how to fix it, you will likely find articles telling you to perform one or more of these actions in Maintenance Tools. This makes it an extremely useful feature for the Indigo addon, especially if you’re looking to fix issues with your Amazon Firestick. 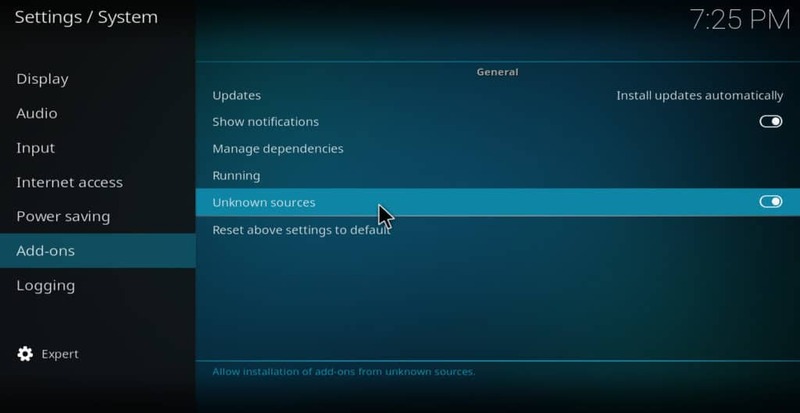 This feature wipes out your current configuration of Kodi and runs Config Wizard. This is useful if you’ve recently installed an addon that is causing Kodi to misbehave. It’s similar to a factory restore, but less extreme. In some cases, rejuvenating Kodi might not be enough to fix whatever is wrong with it. In such cases, the Factory Restore feature of Indigo will allow you to reset Kodi as if you had just downloaded it. 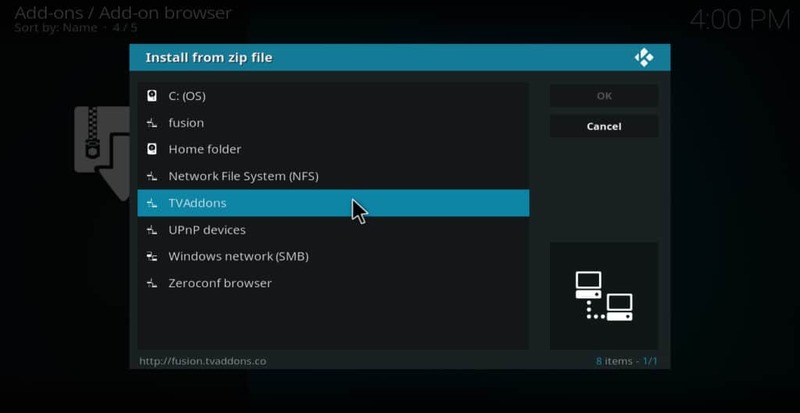 This deletes all of your addons and configuration data, leaving you with a “blank” Kodi. This is an extreme step that should only be done if nothing else works. But this feature of Indigo will allow you to do it if necessary. If you ask a developer for help with an addon that isn’t working, you may be asked to submit a log file so the coder can figure out what’s going on. However, finding a log file and determining how to upload it can be an arduous process. In the past, Log Uploader simplified this process by uploading your log to kodilogs.com. Unfortunately, the kodilogs.com domain has expired and this feature no longer works. 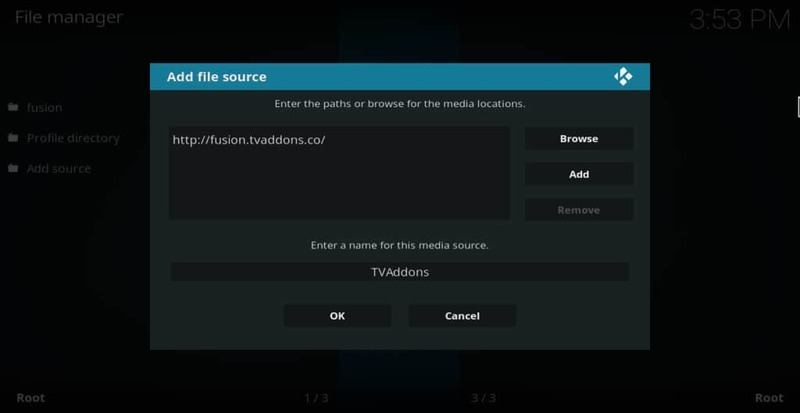 However, TVAddons is hoping to get this feature to work again in the future. If you’ve experienced buffering with your Kodi, it may be because your connection speed is too slow to stream high-rez video. The Network Speed Test feature of Indigo allows you to test if this is the problem. If you find that your speed is slower than your ISP is claiming it to be, get some solutions here. Sometimes addon developers will ask you for information about your Kodi and device such as the Kodi version number, how much disk space your device has, the resolution, etc. System Information allows you to find out this info. It’s not always easy to find the time and channel of the particular sporting events you want to see. Sports Listings solves this problem by giving you a list of all of the day’s events at a glance, along with the time they occur and the channel they are carried on. Once you know this information, you just have to install the correct Kodi addon to be able to watch it. 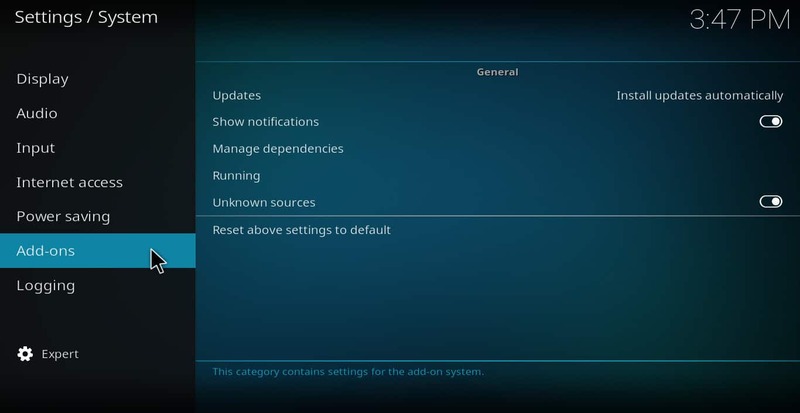 Having to do a rejuvenate or full factory restore on your Kodi can be frustrating, so having a backup of your configuration in case something goes wrong is a good idea. The Indigo Backup/Restore feature allows you to do this. 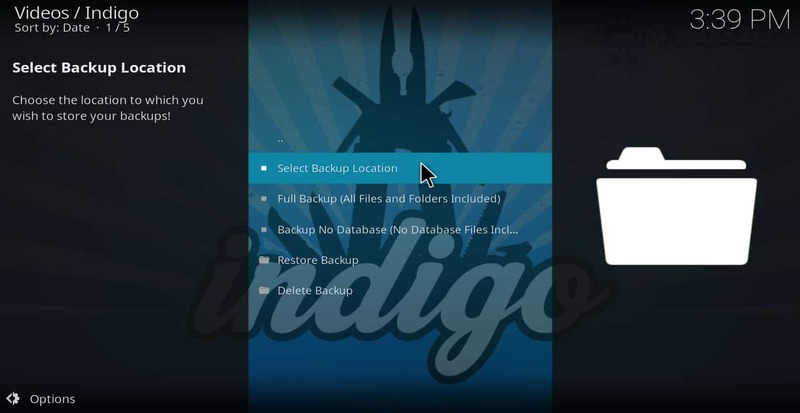 Before you install an addon that you’ve never tried before, go into the Indigo menu and click backup/restore. Select where you want to store your backup configuration, then select full backup or no database backup. Once this is done, install the new addon. If your Kodi starts misbehaving after installing it, go back to the backup/restore menu and click restore backup. No need for a factory restore. This doesn’t always work, since sometimes a buggy addon can change settings that are not part of the backup file. But if you feel that you must install an addon that could be buggy, using backup/restore is a fairly good insurance policy. If a developer asks for your log file in order to help you with troubleshooting, you’ll need to find the file and upload it. However, sometimes you may be able to fix the problem yourself if you can just see the log file. This is where the Indigo Log Viewer comes in. Scroll through the log viewer to find red error messages on the left side of the screen. If you’re an experienced Kodi troubleshooter, you may be able to determine the problem just by looking at these. 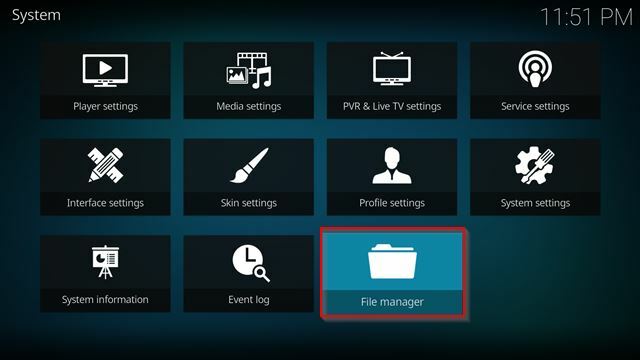 For further information, see our article on Kodi log files. 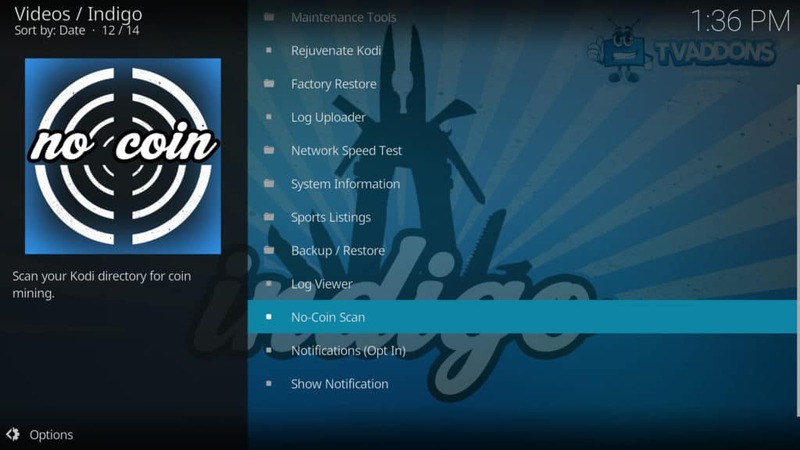 One of the newest Indigo features made available in the Indigo Kodi addon, the No-Coin Scan is designed to scan your Kodi files to help root out and delete any cryptocurrency minors. Although few cryptocurrencies minors have been found installed with Kodi addons, this is a good preventative measure to help keep your computer clean of malware that could eat up your system resources. If your Kodi or a particular addon is not working correctly, the Indigo addon can be very helpful in troubleshooting problems. It can help you clear cache, delete thumbnails, perform a factory restore, create backups, and perform lots of other actions that can fix crashes and other poor performance. 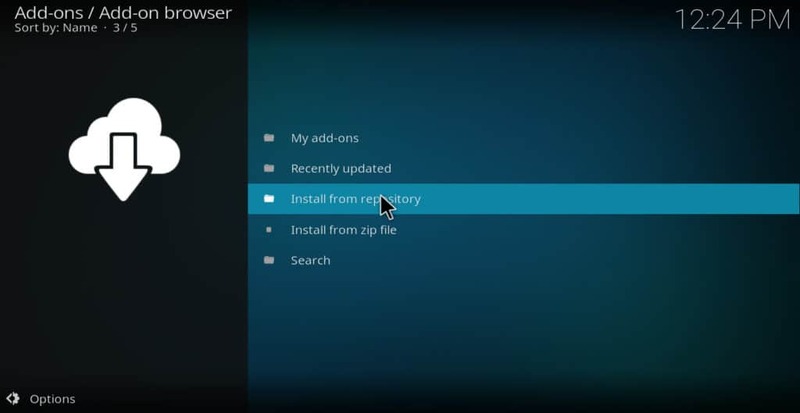 Follow this guide and you should be able to install and use it with no problem. 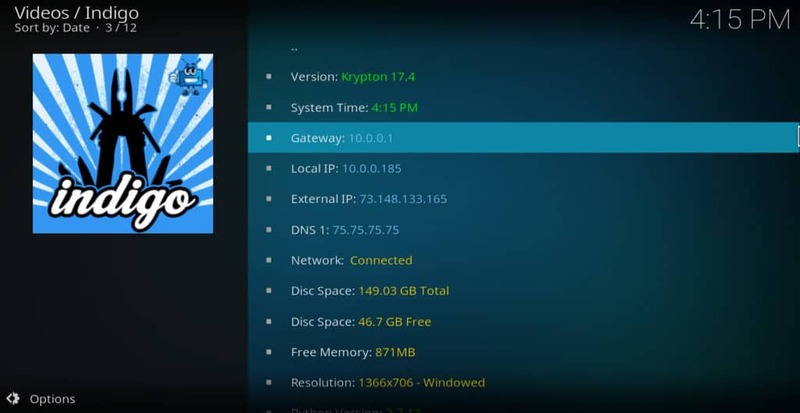 Should you install RealDebrid on Kodi? Kodi Exodus forks: Can you trust them?